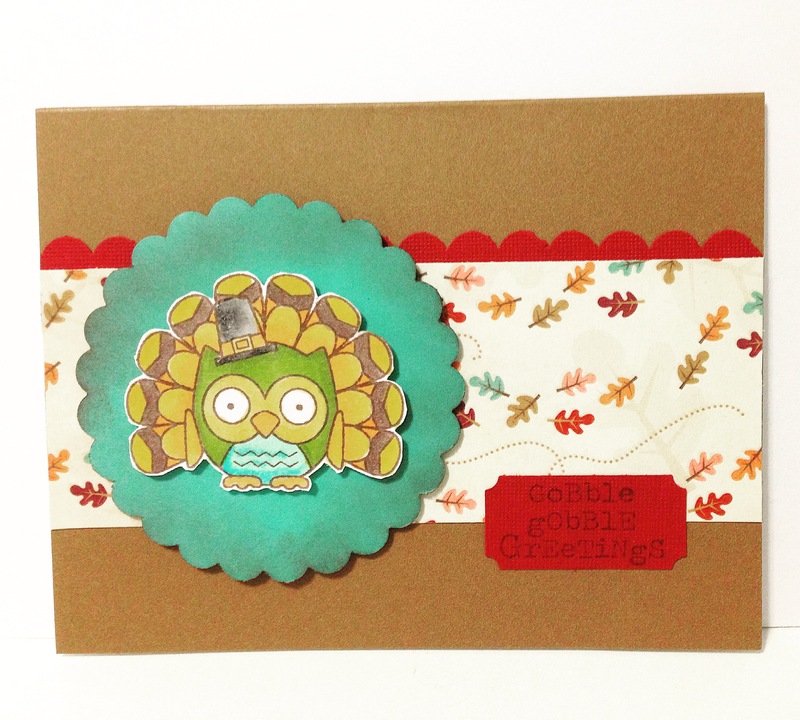 Here’s a quick and easy Thanksgiving card using the Fall Is A Hoot stamp set from Darcie’s stamps found here. These owl stamps are just too cute and they have different sets with different themes – so fun to add to your collection! Stamp the owl on white card stock with brown ink, color with markers, and cut out. 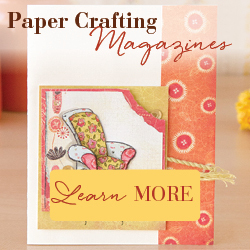 Punch a scalloped circle from turquoise card stock and lightly sponge with brown ink. Attach owl to circle with pop dots. Punch a strip of brick colored card stock with the scalloped edger punch from Stampin’ Up and attach to a panel of leaf patterned paper. Attach panel to a kraft card. Stamp greeting on brick card stock with brown ink, punch with ticket punch from Stampin’ Up, and attach to card. Attach owl circle to card with pop dots and you’re done.